Linking Lake Louise with Jasper is one of the most beautiful journeys on the planet – the Icefields Parkway. Turquoise lakes, forested valleys, ancient glaciers, tumbling waterfalls and mountain peaks as far as the eye can see come together to compose one of the world’s most scenic drives. This unlikely stretch of road takes you into the heart of Banff and Jasper National Parks where nature rules and one can’t help but feel overcome with wonder. It is possible to travel this route in just three hours from Lake Louise to Jasper but it would be a crime. This is so much more than 232 km of road. It’s a journey through captivating landscapes and natural history. It presents the best hiking, biking and photo opportunities in the Canadian Rockies. There are unforgettable stops along the way – some off the beaten path. Historic and scenic markers dot the Icefields Parkway but there are some locations tucked away, unsigned, where you may find your “mountain moment”. The most popular, photographed locations are often the ones that are easily accessed such as; Bow Lake, Peyto Lake, Mistaya Canyon, Athabasca Glacier, Columbia Icefields Centre, and Athabasca Falls and Sunwapta Falls. Others that are well worth the hike include; Herbert Lake, Panther Falls, Parker Ridge, Tangle Falls and the two-for-one stop at Waterfowl Lakes Campground to take in Cephren Lake and Cirque Lake. These are just a few of the many stunning stops along the Icefields Parkway. Whether you just get out and look around or you take off on a half or full day hike, we recommend getting an early morning start as the lakes are still and wildlife viewing opportunities improve. One of the best resources for an Icefields Parkway road trip is found at icefieldsparkway.com. This website gives you the best information on picnic spots, hikes, photo opportunities, wildlife sightings, and even is great resource for winter travel. Since there is no cell service on the Parkway, the site offers a downloadable “Parkway Planner” or you can download a GPS tour guide that will point out the highlights and share some great history too. If you are planning to stay for a night or two in Jasper and/or Lake Louise, this website has a special deal for hotel stays. 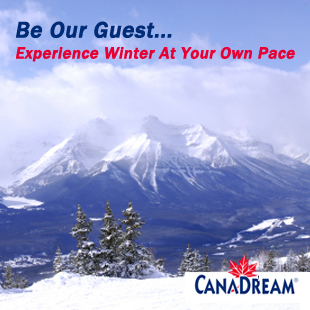 Visit icefieldsparkway.com to receive 15% off your stay in Jasper at the Mount Robson Inn or in Lake Louise at the Mountaineer Lodge. Both properties offer super comfy accommodations as well as free breakfast and Wi-Fi. Let the Mount Robson Inn, Jasper and Mountaineer Lodge, Lake Louise connect you on your journey on one of the world’s most scenic drives. It has been referred to as “The Back Bone of the Canadian Rockies”. National Geographic calls it “One of the World’s Ten Greatest Drives”. For many, it is the road trip of a lifetime. Stretching 230 km between Lake Louise and Jasper, this world-class journey amidst the peaks of the Canadian Rockies offers easy access to a vast wilderness of ancient glaciers. It’s complete with guided adventures onto the ice fields, majestic viewpoints and interpretive displays designed to enrich your understanding of glaciers and climate change. While plotting the border between Alberta and BC in the early 1900s, this roadway was the brainchild of Arthur O. Wheeler, who described this route as a “wonder trail”. Work began in 1931 as part of a depression-era public works program to put men to work, but the rugged terrain and short season meant the project took 9 years to complete. Isolated for centuries, 1940 ushered in an era of tourism to the region when this road opened to the public. Today, more than a million travellers experience the parkway annually.